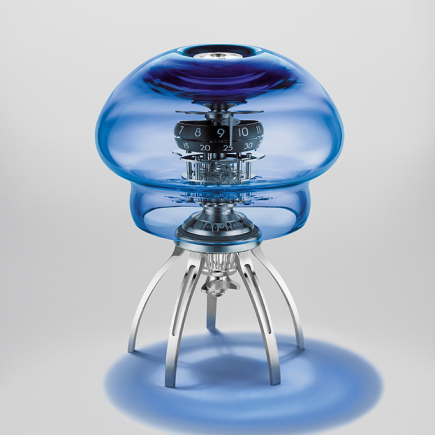 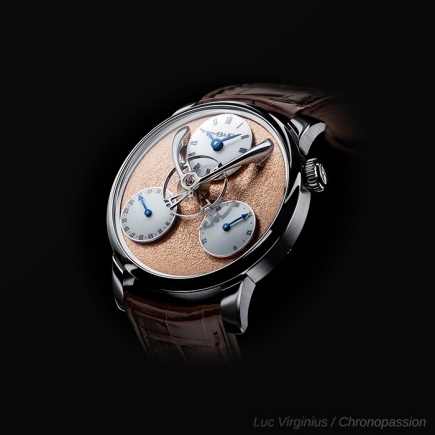 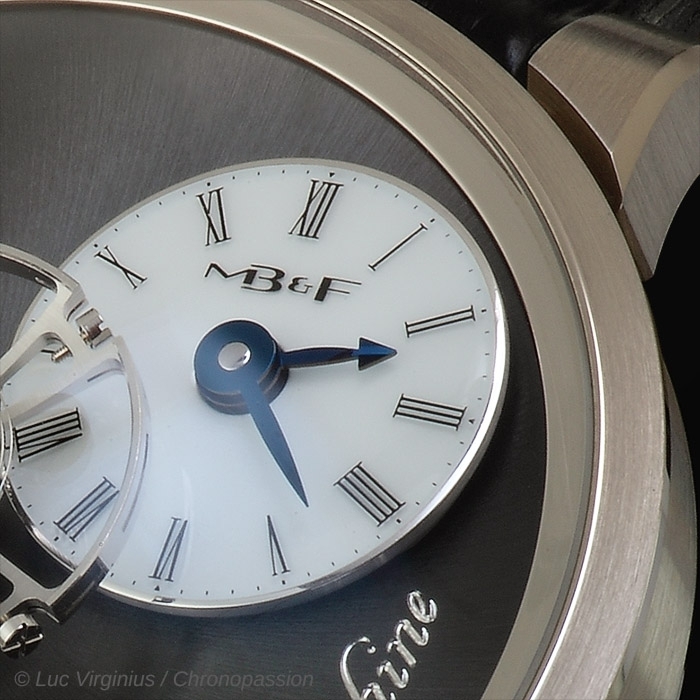 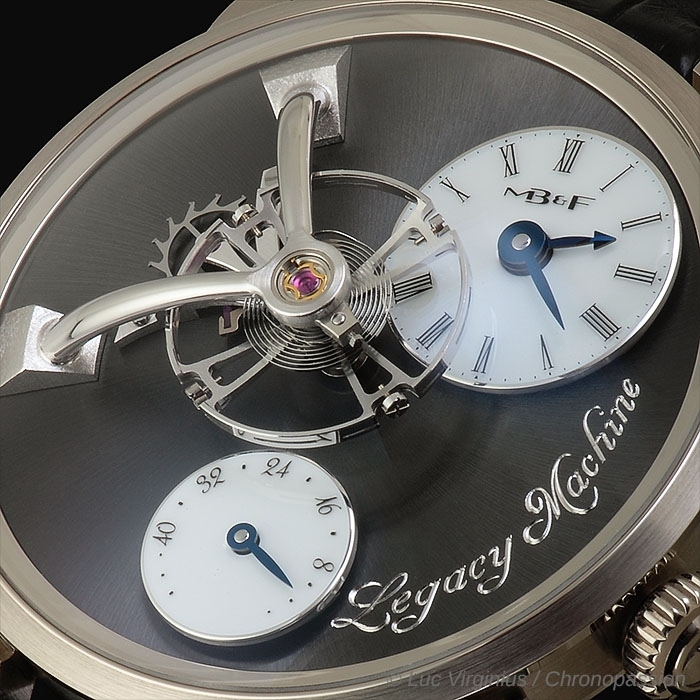 MB&F | 61'200 € Tax inc.
For a classically sized 40mm wristwatch, Legacy Machine 101 covers a lot of ground. 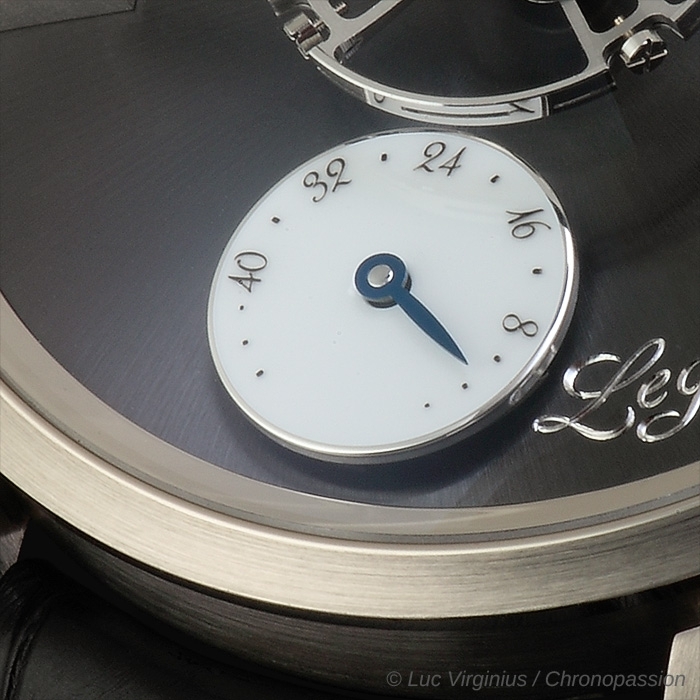 Or to be more precise, LM101 covers a lot of time: over 100 years between inspiration and realisation. 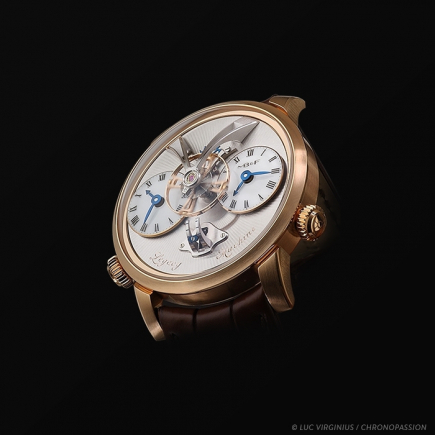 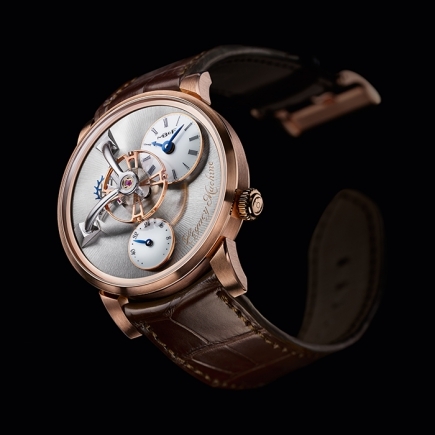 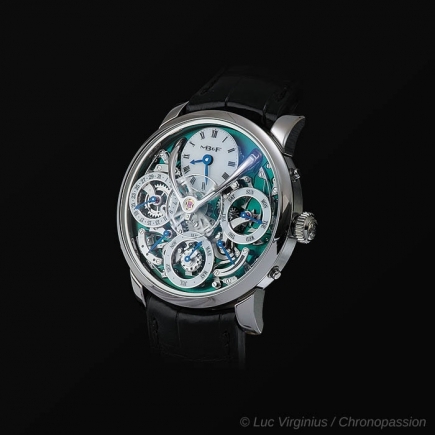 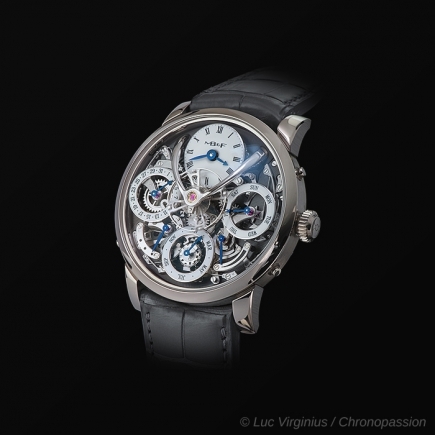 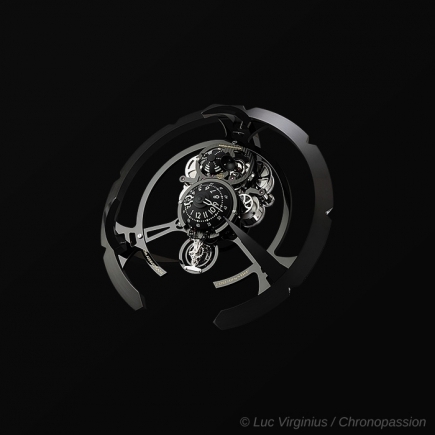 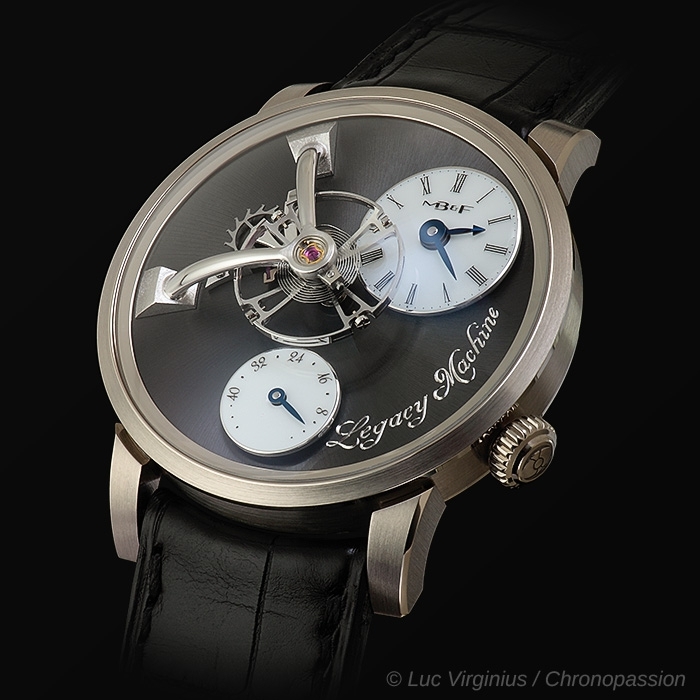 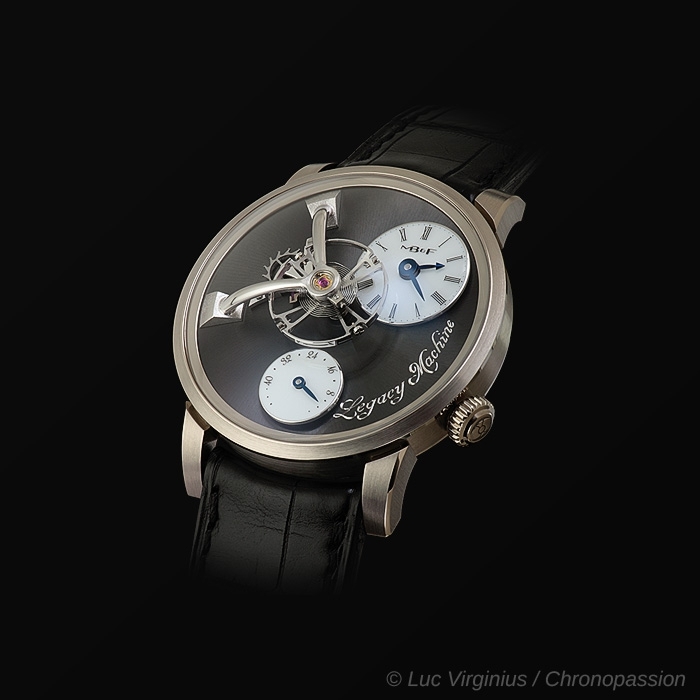 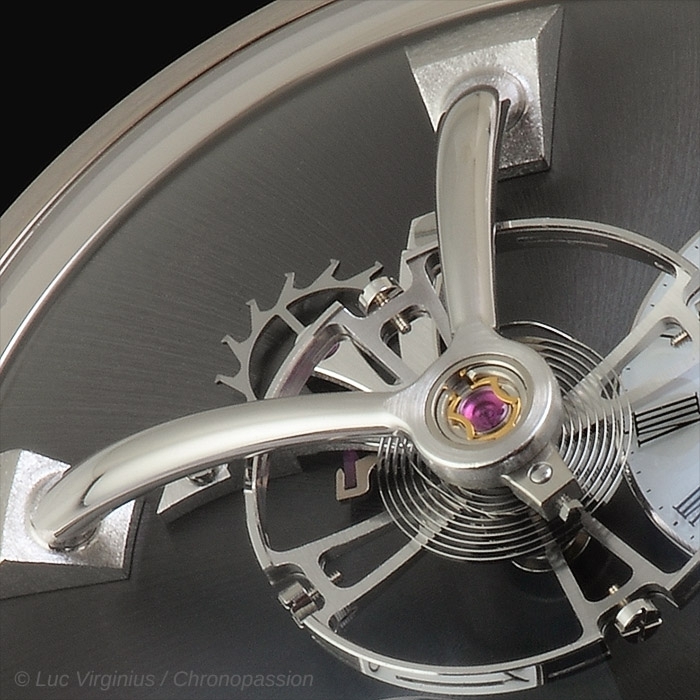 Visually, LM101 is dominated by the monumental suspended balance wheel. 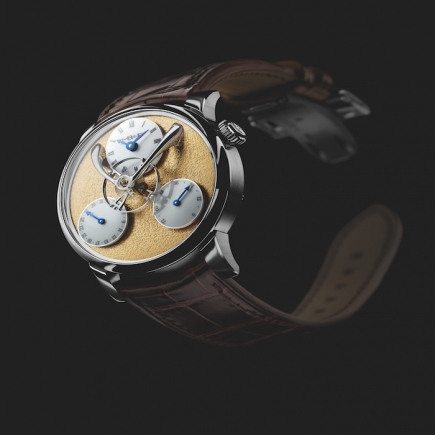 Two pristine-white subdials: At the top right, highly legible hours and minutes are displayed by beautiful blued-gold hands , while the 45-hour power reserve indicator is displayed in a smaller, but similar subdial below. 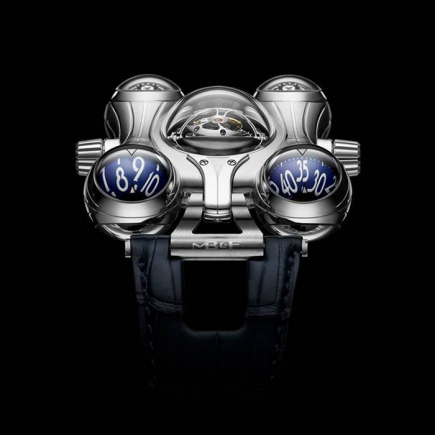 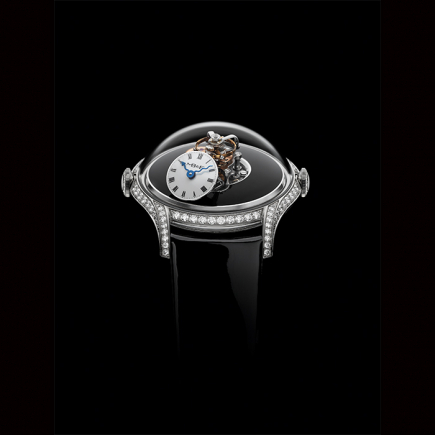 In an apparent feat of magic, the sapphire crystal protecting the dial appears to be invisible; creating the illusion that you can reach out and touch the balance wheel hanging mesmerisingly from elegant twin arches. 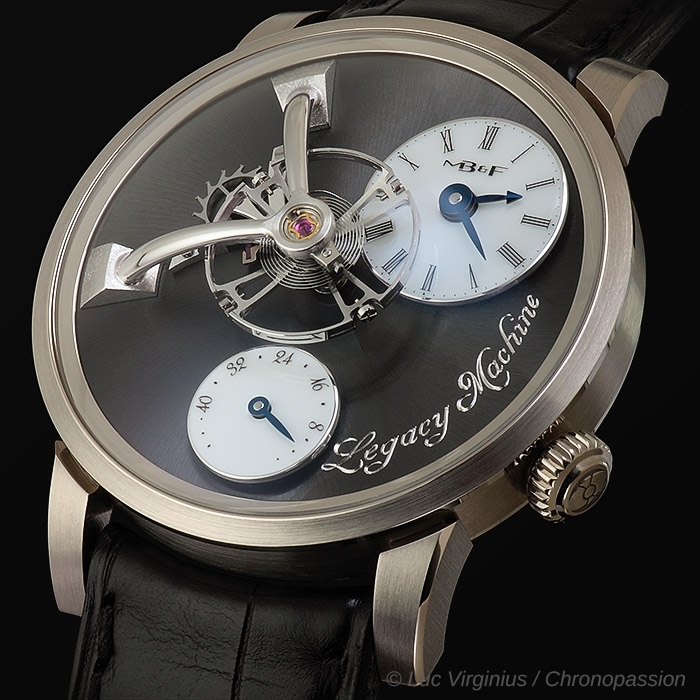 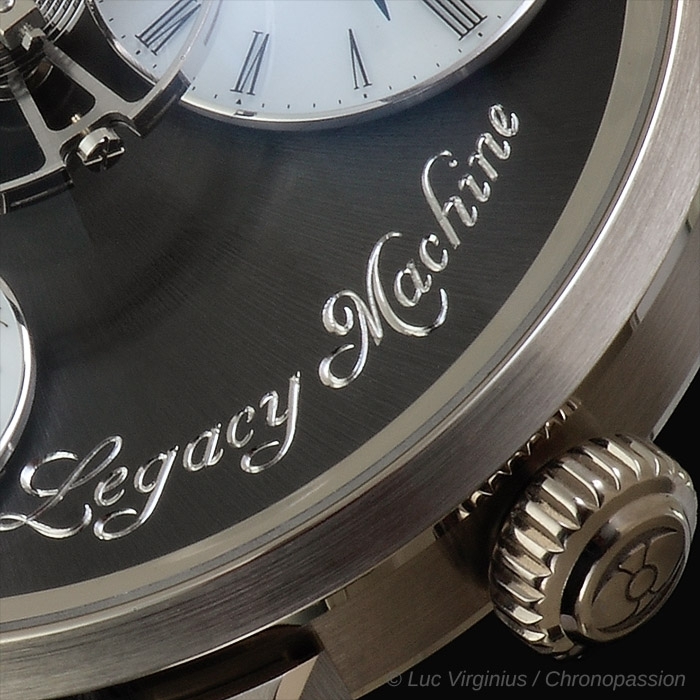 Turning over Legacy Machine 101, the display back crystal reveals the exquisitely hand-finished movement. 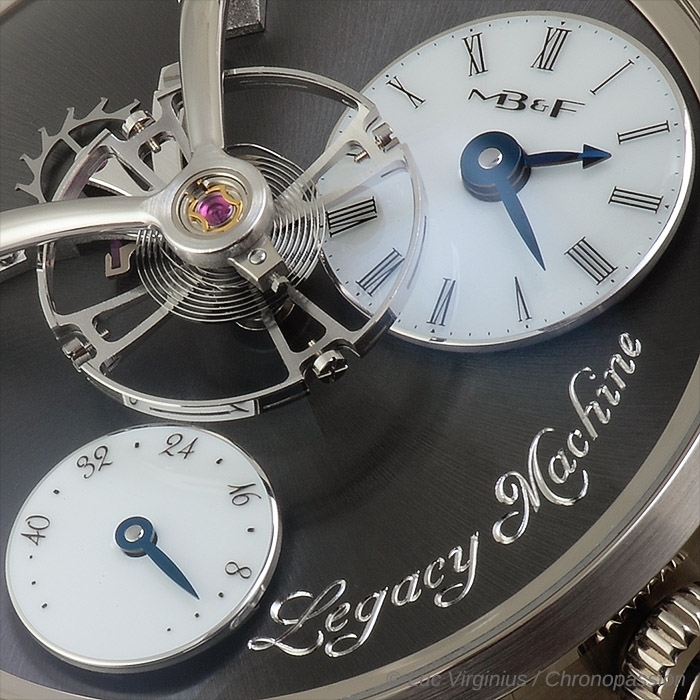 Sensually curved plates and bridges designed by award-winning independent watchmaker Kari Voutilainen pay homage to the style found in high quality historic pocket watches and testify to the respect accorded to historical legitimacy.